Integrated with the parent Navayuga Engineering Company (who have more than 20 years of engineering and surveying experience), the NST surveying team has vast experience in surveying and mapping large areas. Our team is built on the core values of hard work, customer service, quality product, and professionalism. NST is extremely dedicated to being a superior quality surveying firm and because of this fact, we actively pursue the highest grade employees and stay current with the latest surveying technology. Conventional ground surveying using Total Station equipment, GPS, electronic surveying equipment and other survey equipment for preparing survey maps is a major strength at NST. We have a complete surveyor's toolkit including several GPS systems, electronic field books and proprietary data collection format, and graphic production using Microstation, Arc Info, AutoCAD Land Development, tools to deliver compatible data in ready-to-use form to our clients and team members. 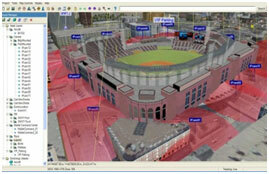 When integrated with advanced GIS technology, new tools - specifically created for surveyors and engineers, can allow direct ingest of survey data into GIS and developing Survey Information Systems. NST has knowledge of innovative surveying using Ground Profiling Radar (GPR) for underground asset mapping and also in processing data from Laser Terrain Mapping (ALTM) instruments. 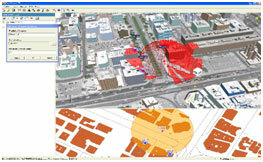 Demonstration of increased operational efficiency thru faster detection and response to events.